Jennilie Brewster's artwork has been shown in museums and galleries around the country. She has collaborated with diverse communities on installations made from discarded items. Her Newspaper Series was the inspiration and backdrop projection for the performance 64, featured in the 2012 Spring Artist Lodge at HERE Arts Center in New York. Jennilie has received residencies from the Lower Manhattan Cultural Council, the Ucross Foundation, the Headlands Center for the Arts, and the Santa Fe Art Institute, among others. She is the Vermont Studio Center's 2016 Swann Fellow, given to a writer who is also a painter. Jennilie's essays, inteviews and poems have appeared in Catapult, The Rumpus, Armchair/Shotgun and elsewhere. In 2015 Ashley C. Ford selected Jennilie as one of Matter’s Emerging Writers. 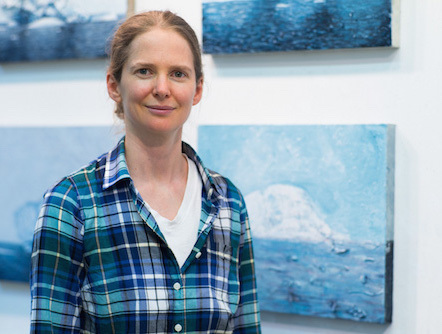 She holds a BFA from the School of Visual Arts (2002), an MFA from the Milton Avery Graduate School at Bard College (2007), and a Foundations Certificate from the New York Zen Center for Contemplative Care (2015). Jennilie lives on Roosevelt Island in New York City, and runs the art-and-justice initiative OPEN DOORS.